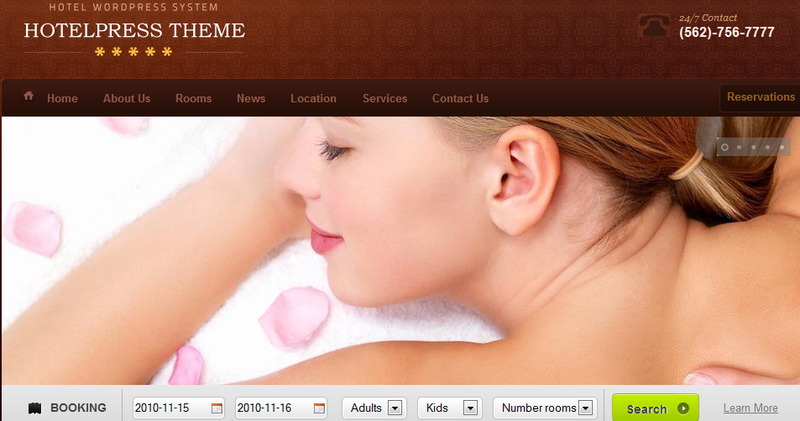 March 10th in Premium Themes by Wordpress Jedi . Own a Hotel business? You simply can’t expect to grow your business if you don’t have a decent online presence for it. These days, people expect to find any credible business online. Thanks to hotel themes for WordPress, you can build a professional looking website for your business without going broke, while making a good first impression on your first time visitors. 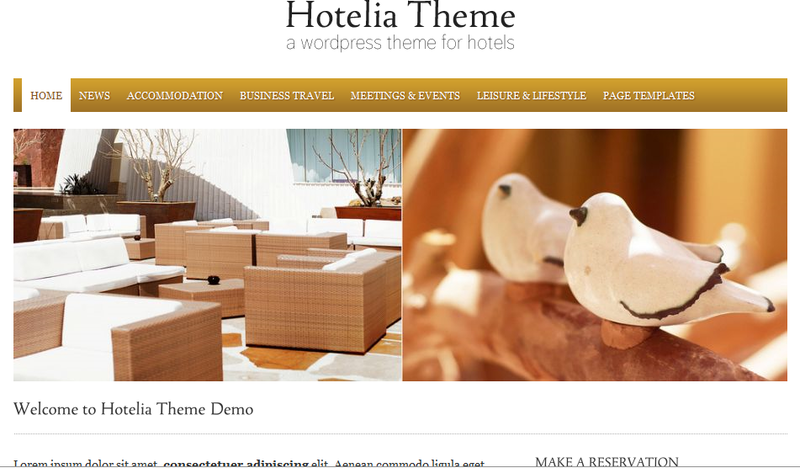 Hospitality theme: one sleek WordPress theme for hotels. It has a fully customizable front page and comes with 5 shiny color schemes. Its dynamic back-end is pretty helpful too. 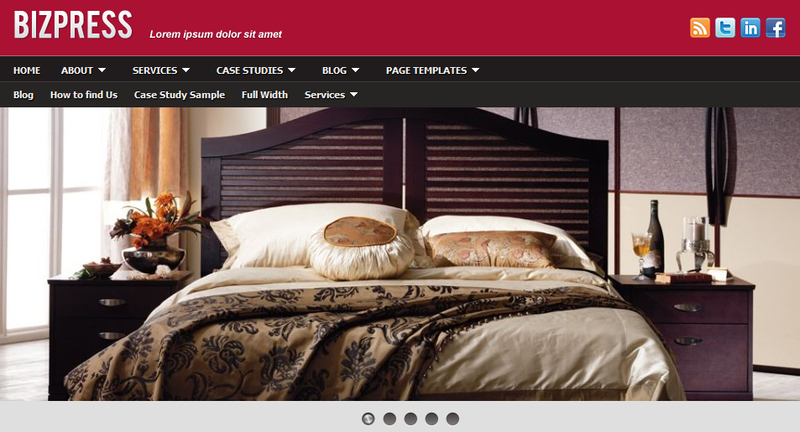 HotelPress: a sophisticated WordPress theme designed specifically for hospitality businesses. What sets this apart from other hotel themes is the fact that it allows your visitors to book their rooms on your website. It comes integrated with Google Maps. Hotelia: a SEO friendly WordPress theme that looks clean and is easy to customize. It has 20 combinations of backgrounds for you to choose from. The built-in cufon feature is nice too. BizPress: BizPress is a business theme that can be used to create all types of websites. It is social media friendly and comes integrated with Flickr. It has a nice jQuery slider and has 4 color schemes. 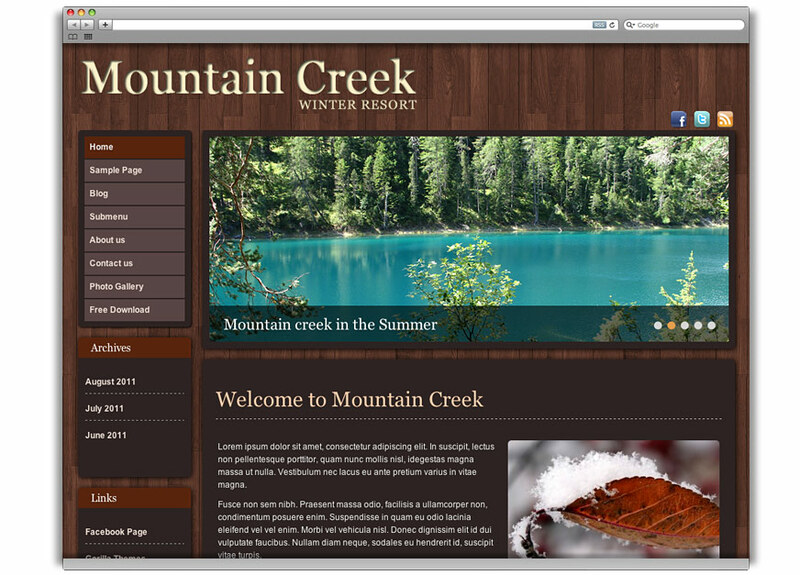 Mountain Creek: a free template for hotels, resorts, and other types of businesses in this industry. It is social media friendly. You can localize this theme too. 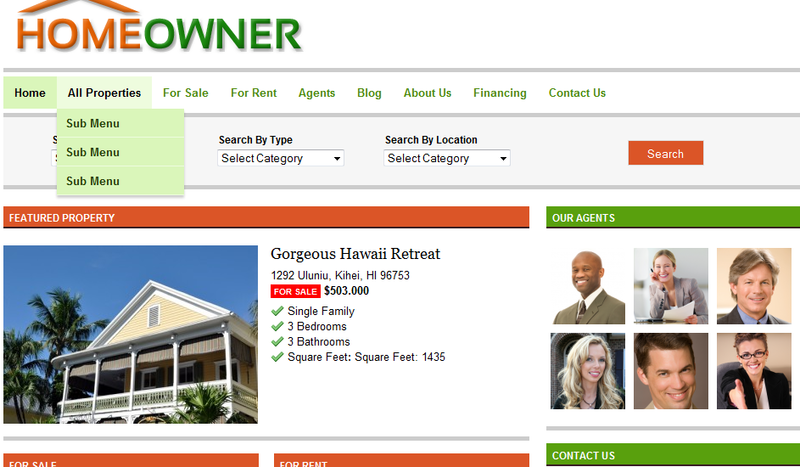 Home Owner: Home Owner may have not been designed for hotel businesses, but it has everything one would need to promote such a business. You just have to do some small modifications. This may be cheating a bit but this theme is too good to pass up. Which is your favorite hotel theme?